We gardeners are a demanding breed, wanting our plants to thrive and flourish come storm or drought. A little bit of forward planning can help bring that ideal closer. Using good quality mulch to help retain soil moisture and choosing the right plants for your conditions — working with nature — will give greater rewards than trying to beat its elements each season. Ground covers, such as arcotis, armeria (thrift), the cheerful gazanias, and various anthemis help to retain moisture, and provide changing waves of colour. For the full-on flower fancier, try calendra, geranium and pelargonium, sunflowers, coreopsis, dianthus, portulaca, zinnia and helichrysum, the everlasting daisies — all tolerant of dry conditions. 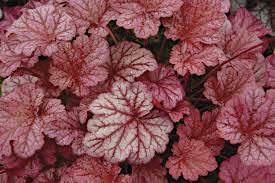 Most of us know about hardy, drought-tolerant succulents, such as echeverias and sempervivums, but consider the more structured foliage look of astelia, euphorbia, grasses, cabbage trees, nandina, Marlborough rock daisy, heuchera, tiarella, and day lilies, all of which are drought-tolerant. Artemisias, flaxes and hebes hold their fresh look during a drought, but choose the hardier species of hebe, not cultivars. 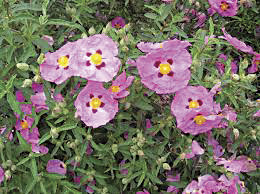 Other drought-defying shrubs include cistus (look for the handsome, evergreen ‘Bennetts White’. It has large, white paper-like flowers with a yellow centre), rosemary, olearia, coprosma, the fragrant, colourful ceanothus, (Californian lilac), and prostranthera, the Australian mint bush. 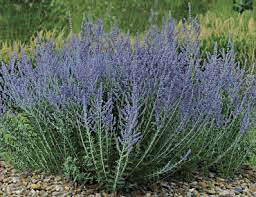 A top perennial for dry places is perovskia ‘Blue Spire’, with its feathery grey foliage, topped with long spires of bright blue flowers set in bracts of woolly lavender. 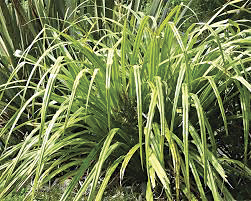 A three year old plant forms a spreading clump more than a metre high. It creates a haze of blue/mauve in the garden and is great for picking. 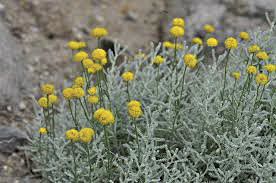 The grey-leaved santolina or cotton lavender with its strong perfume and bright yellow flowers thrives during hot weather, and is ideal for clipping into a dense, formal low hedge. They will make small topiary balls if grown on a single stem. Less well-known is santolina ‘Bowles Lemon’. 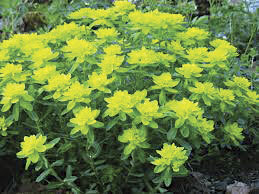 It quickly forms a low mound of grey-green foliage, with creamy butter flowers the size of a thumbnail. For a climber to survive hot and dry weather try the potato vine, honeysuckle, Virginian creeper and Boston ivy. 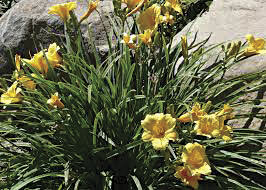 Enjoy your summer garden, but be economical with our district’s precious water — make use of wetting agents, drippers, weeper or soaker hoses ( to target water where it’s needed and to minimise water run off) and remember the best time to water is in the morning or early evening, to prevent water being lost to wind or heat.